Good teachers know that new concepts are lost on students when students don’t see those concepts being used in an authentic way. Without multiple examples to anchor our teaching, abstract ideas (like symbolism) and complex ideas (like characterization) are very confusing. And then, of course, there are times when we’re simply looking for good literature to share with our young readers. Enter the short story. This genre is perfect for the classroom because its conciseness allows teachers to model concepts immediately. Furthermore, short stories help teachers to provide multiple examples in a brief period of time. 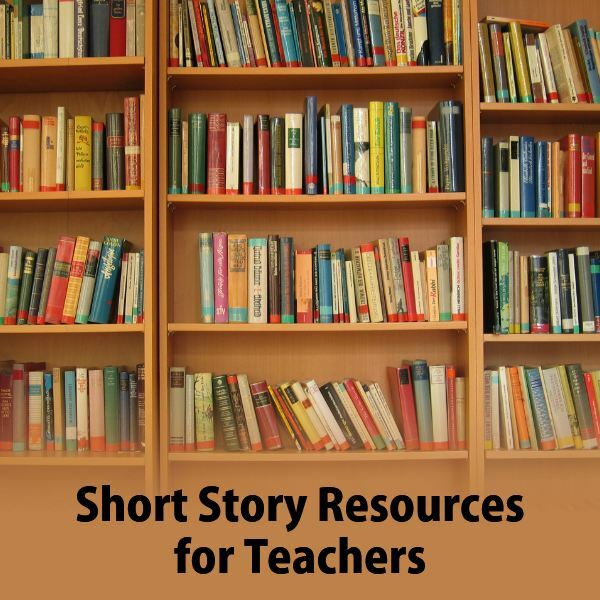 So whether you are looking for short stories to teach literary elements, excellent literature to add to your curriculum, or ideas for helping your students to write stories themselves, this guide will give you plenty of support. Theme, symbolism, foreshadowing … there are so many literary elements for readers to understand in order to comprehend and appreciate what they read! Novels are great for reinforcing this knowledge, but may be too lengthy to introduce and teach specific elements properly. Students need multiple examples of literary elements being used in writing in order to understand them and identify them on their own, so the short story is perfect for this! Below are some resources to help you. Additionally, you will find ideas for using short stories to develop students’ reading comprehension, including active reading and vocabulary skills. The brevity of short stories can keep struggling readers from feel overwhelmed with the comprehension process, and teachers will find them easy to modify and organize for different audiences. When it comes to choosing short stories, the possibilities seem endless. Take a look at these resources to find lesson plans that work. Included are suggested stories with descriptions and possible teaching objectives. Take the next step in teaching short story by helping your students to write their own. Here are some ideas for lessons that guide students through different parts of the short story writing process, from brainstorming to peer review. Teachers will also find lessons for specific parts of story planning, such as characterization, mood and setting. Students will learn to consider different elements of stories and plan carefully in order to develop writing that readers will really want to read! For added fun, try out the scary story lesson plans. As a final thought, remember that although short stories are a great tool for teaching, they require strong objectives and lessons to really help students become better readers and writers. Think carefully about what you want your students to learn, and choose the best stories to support learning. I hope that this list of resources helps you in that process. Happy reading!